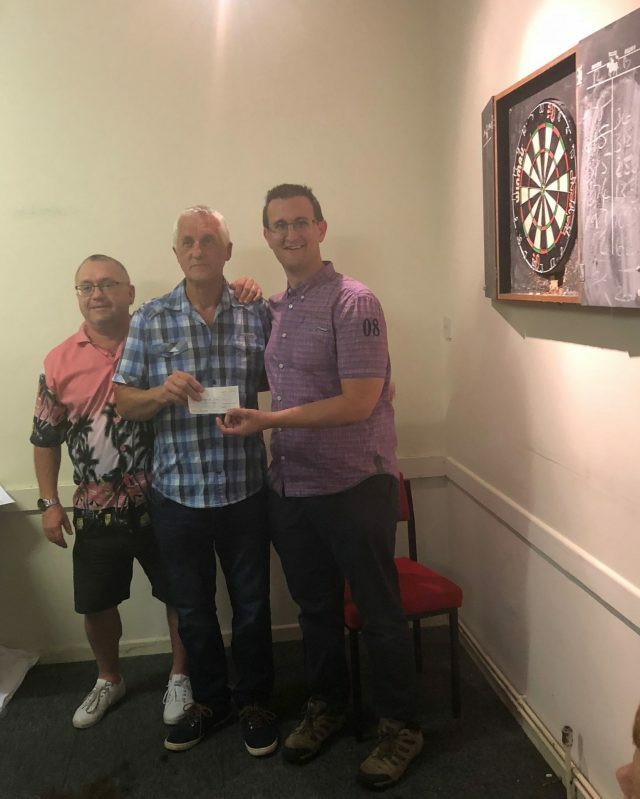 On Friday 24th August 2018, Matthew Smith (Business Manager) attended the final evening session of the season of the Craig Cutting Memorial Darts Team to receive a cheque of £500.00 towards the forthcoming Thursford visit. The cheque to Sheringham Woodfields School was one of 4 presented during the evening, which also saw a member of the team have their head shaved for charity. Matthew thanked everyone for their kind generosity and for supporting the planned visit, which is due to take place on Tuesday 11th December. In the photo is Kevin Webb (on the left), Bernie Wright (centre) and Matt Smith (on the right).